The Woman in Black 2: Angel of Death (2014) Bluray 480p, 720p 40 years after the first haunting at Eel Marsh House, a group of children evacuated from WWII London arrives, awakening the house's darkest inhabitant. Interstellar (2014) Bluray 480p, 720p A team of explorers travel through a wormhole in space in an attempt to ensure humanity's survival. Mr. Peabody & Sherman (2014) BluRay 480p, 720p The time-travelling adventures of an advanced canine and his adopted son, as they endeavor to fix a time rift they created. The Hobbit: The Battle of the Five Armies (2014) Bluray 480p, 720p Bilbo and company are forced to engage in a war against an array of combatants and keep the Lonely Mountain from falling into the hands of a rising darkness. Outcast (2014) BluRay 480p, 720p A mysterious warrior teams up with the daughter and son of a deposed Chinese Emperor to defeat their cruel brother, who seeks their deaths. 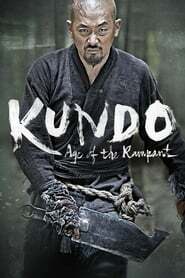 Kundo: Age of the Rampant (2014) Bluray 480p, 720p A period action film centered on a militia group who turn against an unjust nobility. V/H/S: Viral (2014) BluRay 480p, 720p A Los Angeles police chase sends a fame-obsessed man on a wild ride to save his girlfriend from a cybernetic terror. 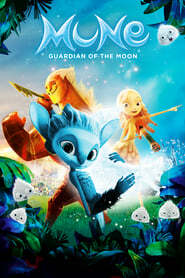 The Legend of Hercules (2014) BluRay 480p, 720p The origin story of the mythical Greek hero. Betrayed by his stepfather, the King, and exiled and sold into slavery because of a forbidden love, Hercules must use his formidable powers to fight his way back to his rightful kingdom. Dying of the Light (2014) Bluray 480p, 720p When a devastating illness threatens to end Evan Lake's career in the C.I.A., he goes rogue to hunt down a terrorist who tortured him during a mission gone awry years ago. The Salvation (2014) Bluray 480p,720p In 1870s America, the fury of a notorious gang leader is unleashed when a peaceful American settler avenges the death of his family. Then as his cowardly fellow townspeople betray him, he is forced to hunt down the outlaws alone. Dead Snow 2: Red vs. Dead (2014) BluRay 480p, 720p Still on the run from a group of Nazi zombies, a man seeks the aid of a group of American zombie enthusiasts, and discovers new techniques for fighting the zombies.